There are a couple of (internet) famous art pieces done involving Lego. One of those is “Brick Patrol I” by Peter Fendrik. 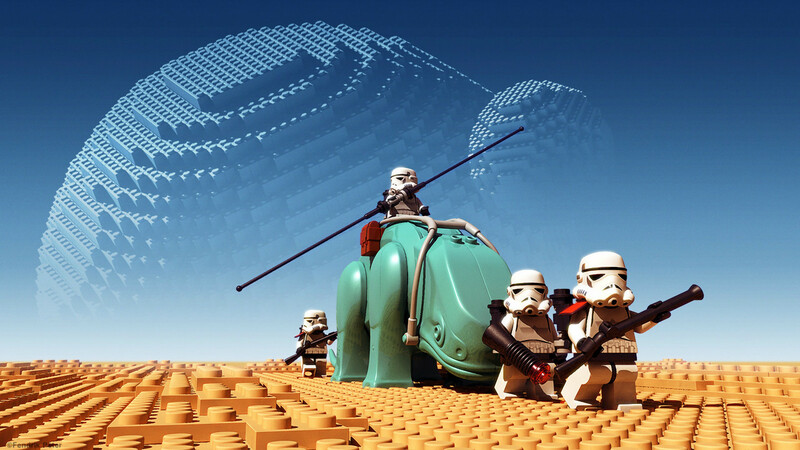 This 3D Lego Star Wars render is almost perfect. The composition works well, the depth of field is great, and the color are vibrant. This is how everyone imagines their Lego bricks while building. What really makes this are the two Lego built planets in the background. These Lego Stormtroopers make a perfect desktop background.